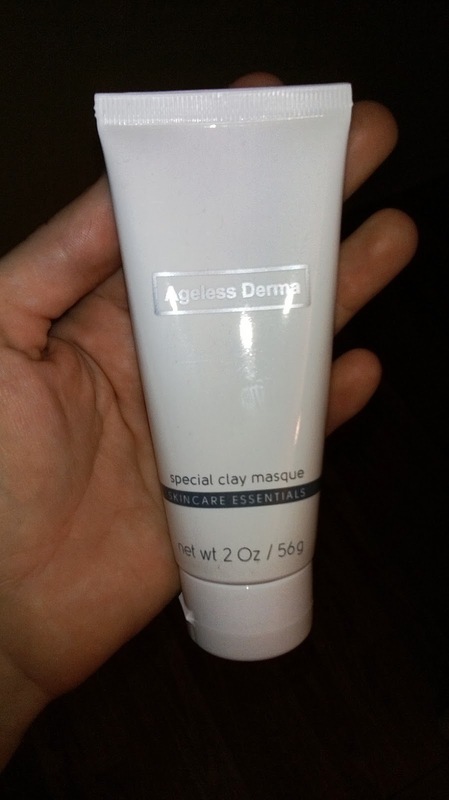 I love to pamper myself and with the Ageless Derma Special Clay Masque I can do that. 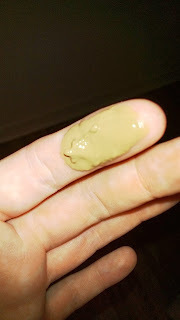 I love the feeling and the texture of this clay mask its not to thick or sticky when I use it. And for a day when I need to de stress I head for this mask and just relax in the bath. This comes in a 2 oz tube and I can say this is a great amount and retails for $25.00 this is a great deal. There are a few different causes for acne. An increase in oil production can clog the hair follicles and skin pores, created bumps to crop up. Eventually the wall surrounding the bumps may rupture, letting bacteria get into the deeper layers of the skin, causing inflammation and acne. Oils, everyday dirt and grime and other toxins can collect in your pores, clogging them up, too. Certain cosmetics that accumulate on your skin can also cause blemishes such as blackheads or pimples. Using the correct cleansing regimen will do wonders for your acne-prone or sensitive skin. You can see an amazing difference in the clarity of your facial skin once you begin to use Ageless Derma Special Clay Masque on a regular basis. With just your first use, you will note how clear your skin will become in addition to feeling softer and smoother. Developed especially for those with oily skin types that are prone to acne breakouts, Ageless Derma has developed a Special Clay Masque enriched with all natural ingredients that detoxify and clarify your skin. Your true, radiant complexion will once again show itself to the world. This Special Clay Masque has a powerfully unique drawing action, extracting toxins, excess oils and dirt from your pores and refreshing the skin. This miracle masque also contains allantoin, a special ingredient that is taken from the all-natural comfrey root, coming from a native European plant. It works to heal inflamed skin as it protects and softens, leaving you with a smoother skin that feels well nourished. It works to stimulate new cell growth, refreshing your outer layer of skin and reducing inflammation. Vitamin B5 is isolated from rice husks and placed in Ageless Derma Special Clay Masque for its well-known healing effects. It helps prevent wrinkles, too, a very desirable side effect of this masque. The Vitamin B5 regenerates skin cells and is an excellent moisturizing agent. It will feel wonderfully smooth and soft on your skin. Only a small amount of the Clay Masque is needed. It is rubbed onto your pre-moistened skin and can be used once or twice a week for best results. It can also be used as a spot treatment for problem areas. Within ten to fifteen minutes, Ageless Derma Special Clay Masque can be rinsed off to expose a younger, revitalized face that has just been waiting to be revealed! Water, Bentonite, ichthammol, Methyl Gluceth, Silca, Titanium Dioxide, Magnesium Aluminum Silicate, Zea Mays, Allanation. This is what it looks like out of the bottle very creamy. I will definitely be using this a lot the remaining of the year! !